Bugger. We didn’t achieve quorum at the planned AGM on 22 February 2016. What does this mean? We weren’t able to conduct any of the formal business such as elections, so we now must organise an adjourned AGM. It will be held at a different venue. Several members have asked what ‘proxy’ and ‘quorum’ mean and why they are important. Proxy means you authorise another member who will be at the meeting, to vote on your behalf, when you can’t physically be there. A proxy is only valid when the form is fully completed and submitted in advance, by the specified date and time. Quorum means the minimum number of members that need to be present either physically or by a proxy form, to enable the formal business to be legally conducted. By submitting a proxy, you are included in the quorum, thereby helping to make up the numbers we need to proceed on the night. Only full members (over the age of 18) are entitled to vote at a general meeting. We totally understand that members may not be able to make the meeting but please, please, please send in your proxies following the instructions provided by email and snail mail (and on the form itself) if you can’t make it. We need you or your proxy form! We know everyone is busy and it’s easy to put it on the ‘do later’ pile and then forget. Members should have received their invite and proxy form by snail mail by now. 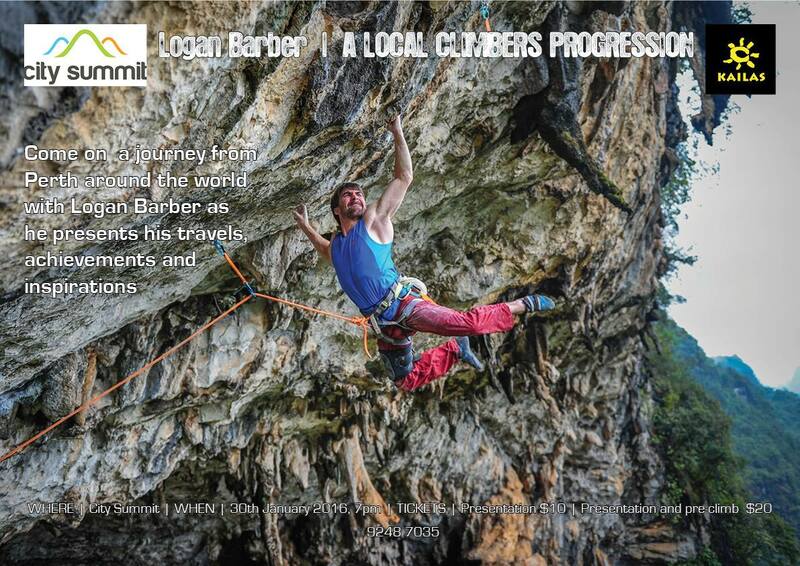 The Perth Rock Climbing Guide ($25), Climb Tasmania ($45, limited copies) and CAWA T-shirts ($25) will be available. Please bring exact money. Back by popular demand, the amazing technicolour 2016 CAWA calendar will also be on sale ($15). What greater piece of artwork could adorn your walls? Even better, a great gift for your partner, friend, someone you fancy and want to impress, climbing buddy, neighbour, workmate, random stranger…anyone really. Venue: Department of Sport and Recreation, 246 Vincent St, Leederville. Time: Arrive 6 pm to register, for 6.30 pm sharp start. You are most welcome to bring food and drink. Look forward to seeing you all there (again)! There has been conflicting information about climbing in Esperance for some years now. Though we thought we had an arrangement in place with an agreement that no new bolts would be placed without permission, climbers would notify the ranger of their intention to climb and no climbing to occur at Frenchman’s Peak, some Department of Parks and Wildlife staff at the coalface have been telling climbers a different story. This has understandably created a great deal of confusion and frustration for everybody. It seems that there was ongoing and significant sensitivity about a few issues, including the previous placement of bolts in highly visible areas without permission being sought and suggestions that DPaW signage be disregarded. However, one of the things we sometimes also see in dealing with any access issues is an overly protective approach when it isn’t necessarily warranted, both in relation to the area and the activity. This can occur for many reasons, including lack of understanding about a particular activity and personal biases. Liability is always a concern for DPaW in relation to the activities that take place on the land they manage and regardless of what climbers think about that, unless individual ‘right to risk’ legislation is introduced in Australia, it will continue to feature in our conversations. Often it just requires education about the activity to put things in perspective but because of various non-climbing incidents that have occurred across the state in more recent years, general sensitivity to any possible risk has increased. I don’t think anyone enjoys giving evidence in court. So like any other activity, it simply needs to be managed, not stopped. 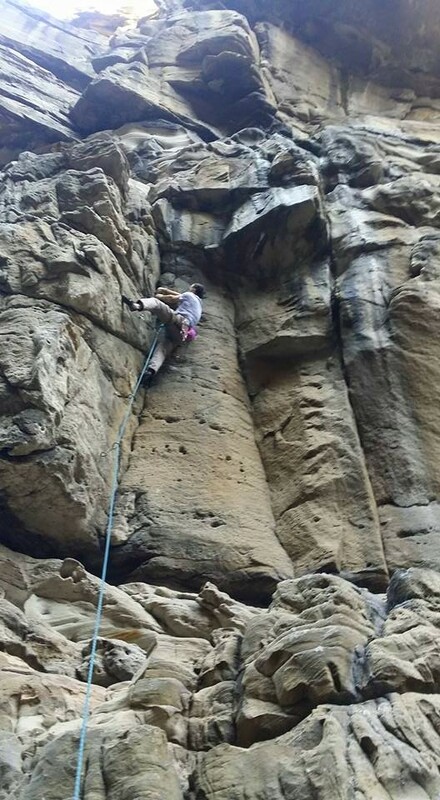 I’m very happy to announce that further discussion and negotiation with DPaW has resulted in a formal agreement regarding ongoing climbing access, with conditions that the CAWA committee considers to be reasonable. The existing conditions noted above still apply, with the additional requests that no new trails are to be constructed to climbing areas, climbing be avoided during wet soil conditions to avoid spreading dieback and information published (e.g. in climbing guides) is in accordance with current park use conditions. This access information also appears on the ‘restricted areas’ website page (under ‘climb’) here. 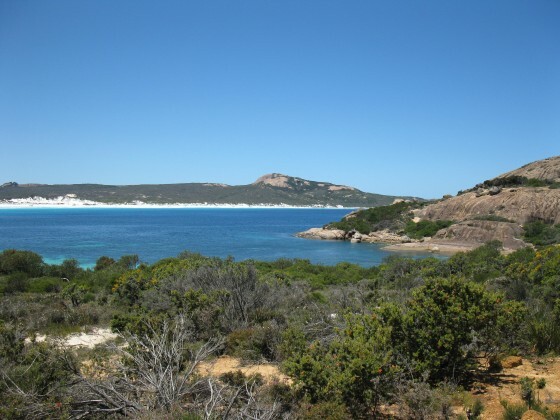 CAWA also made a detailed submission to the Esperance and Recherche Parks Draft Management Plan in early 2013 but this plan is yet to be finalised. There is no mention of rock climbing in the draft plan. However, on page 70, under Management Actions, point 3, it says, ‘Ensure all recreation and tourism developments as well as visitor activities are consistent with the department’s Policy Statement No. 18’, in which rock climbing is recognised. Part of the purpose of CAWA’s submission was to have rock climbing formally recognised as an adventure activity in the new plan and to provide important information about the activity. Park management plans are publicly available documents. As always, please feel free to get in touch with any queries. Mike Law Training Clinics – Register Now! Mike somewhere on the Sydney sea cliffs. We recently announced Mike Law’s visit to Perth to run some climbing clinics and speak at the AGM. One of Australia’s climbing legends (‘The Claw’), he is both knowledgeable and entertaining. Perth climbers have a unique opportunity to come and learn from the master (and marvel at his amazing Hawaiian shirts). You can now register for the training clinics scheduled at the end of February. Current members have been given the opportunity to register for the clinics ahead of advertising on the CAWA website but there are still a few spots left. This basic course in outdoor safety will make climbing a bit safer and more enjoyable. It provides some training in the skills you need to progress your climbing safely in the outdoors and be self sufficient. WHY? Many climbers with gym training have high technical skills, but have little practical experience in staying alive outdoors. WHAT WILL YOU LEARN? 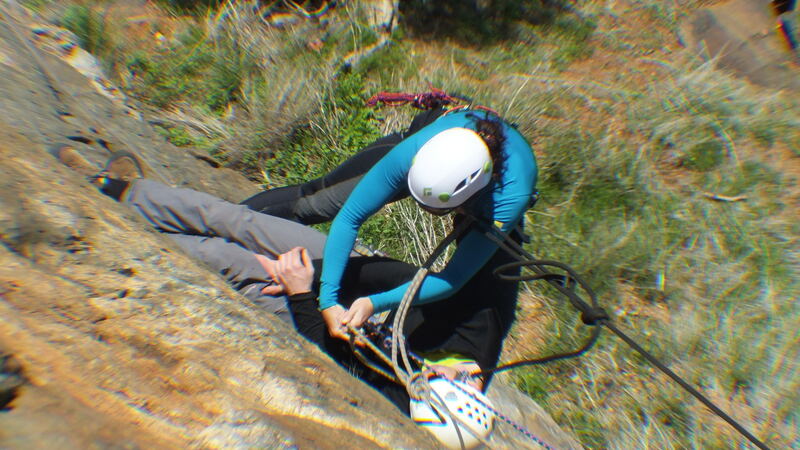 A bit about belaying methods, abseiling, falling, retreating and rescue. WHO SHOULD COME? Anyone who thinks their survival skills might be improved. This course is perfect for novice climbers who are looking to make the transition from indoors to outdoors; those who already climb outdoors but have limited experience; anyone uncertain of whether they are employing safe practices or if you aren’t confident you could manage a difficult situation when out climbing with a buddy. The physics of climbing and belaying: Trad belaying, light and heavy climbers, belaying seconds and belay methods. Trix and red-pointing: How to cheat at climbing. Speeding up multi-pitching. Training: mental, technique, strength, movement on rock and how failure is the best teacher. 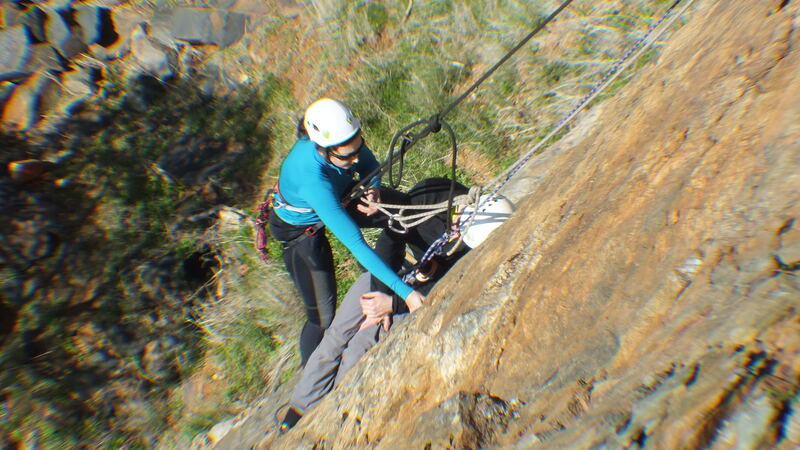 Trad and anchors: Hauling and setting up 2 bolt belay. Why does trad feel hard? How to choose reasonable goals and achieve them and how not to destroy your body in the process by over-training. How to deal with fear and what it reasonable to be afraid of. Who is this course best suited to? Intermediate to advanced climbers (this means you have been spent quite a bit of time outdoors). It is not suitable for novice climbers. Time: Early start, TBA. Full day (likely to be a long one). Venue: TBA and weather dependent. Starting outdoors then moving to indoors. In the event of truly vile weather (wet or really hot), then it will be run entirely indoors, where the skills can still be easily taught. Participants should be prepared to be flexible about course content. Please note: HELMETS ARE COMPULSORY while we are outdoors and must be worn any time you are at the base or on top of a cliff. Clinic numbers will be limited, to allow for individual attention. Comprehensive notes will be provided to participants of both courses on the day. There will be a mix of theory and practical. Please bring a pen and notebook (unless you want to scribble on your handout). Please note that the clinics and AGM are strictly CAWA member only events. Keen to participate but not a CAWA member? Joining online is quick and easy: Become a CAWA member today. Please email me at denar@climberswa.asn.au to register. Please state which clinic you would like to attend and outline your climbing experience. I will then confirm your place and provide you with further details. Mike Law is an Australian climbing legend and CAWA is bringing him to Perth in February 2016 to run a couple of clinics and speak at the AGM. Mike was a leading climber in the 70s, developing many cliffs and new routes. Over the next 40 years he continued to put up many new routes (2800 m worth in one year!). Along the way he has climbed around the world, developed and tested bolting methods (placing over 2000 bolts in the last decade), and used his degree in materials science to test bolts and trad gear. When middle-age hit he succumbed to an office job and worked on time-efficient training and climbing efficiently. Apart from climbing everywhere, his interests are the physics of climbing, belaying and gear. 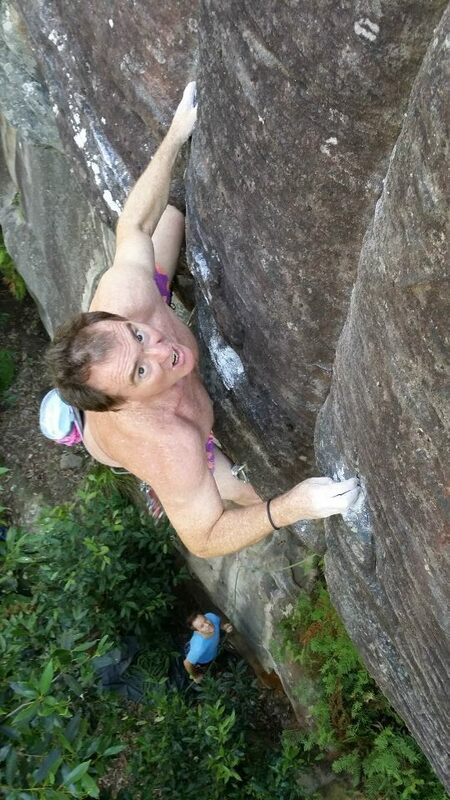 ‘In the early 1970s a young red-headed Sydney schoolboy exploded onto the Australian climbing scene. Michael Law was born in era of dinosaur lines, etriers and ironmongery but, by a stroke of luck, his appearance also coincided with the first ripples of the free- and clean-climbing movement that was soon to become a tsunami. Young, quirky and tormented, Michael quickly became what many of us believe to be the most talented of Australia’s now legendary ‘New Wave’ generation of the 1970s and 80s. ‘In today’s world where everyone climbs 8c and all you need to know about climbing can be accessed from your phone, the ramblings of some weak old codger in book form might not appear all that appealing. But while there is an ever increasing production line of strong climbers hitting the cliffs, it would appear that the factory must have lost the mould to Michael Law whose unique approach to climbing has been more akin to an artist than an athlete. (Note to reader: it should be acknowledged that Michael was once young and strong). Michael’s impact on Australian rockclimbing is undeniable. His first claim to fame came way back in 1974 when as a fifteen year old schoolboy he made the first free ascent of the Blue Mountains testpiece, Janicepts at grade 21. Over the next four decades he went on to establish hundreds of quality new routes throughout Australia on everything from grotty little urban crags, frightening sea cliffs, consumer-friendly sport cliffs, superb trad crags and remote big cliffs. 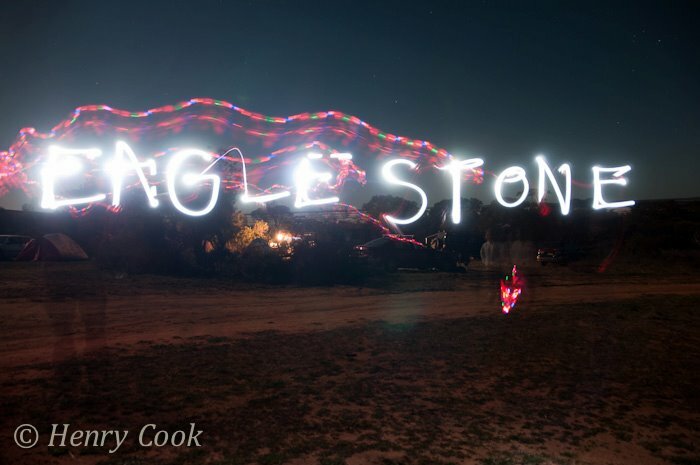 He is arguably responsible for more classic routes throughout Australia than anyone else. But it is not just his long resume of new routes that Michael is renowned. His ability to ooze up a piece of rock that might spit off far stronger climbers, his ability to look at climbing from a different perspective and his creative and irreverent approach to so many other aspects of climbing – from protecting climbs with imaginative pieces of equipment (that may have been better left in his imagination) to outlandish fashion. He has entertained, inspired, frustrated and annoyed generations of climbers with his brilliance, enthusiasm and at times controversial approach. This is the token old-fashioned classic, it’s got the lot. A tight, thrutchy knee and squeeze chimney with sparse protection which is often wet. Especially in winter when the cliff is even more like a urinal wall. Despite all this it’s quite pleasant in a boy-scoutish sort of way. Mike has a wealth of experience to share and we will be running two different types of clinics for CAWA members to cater for both less experienced and more advanced climbers. More details about the clinics and how to register will be sent to members over the next month or so. 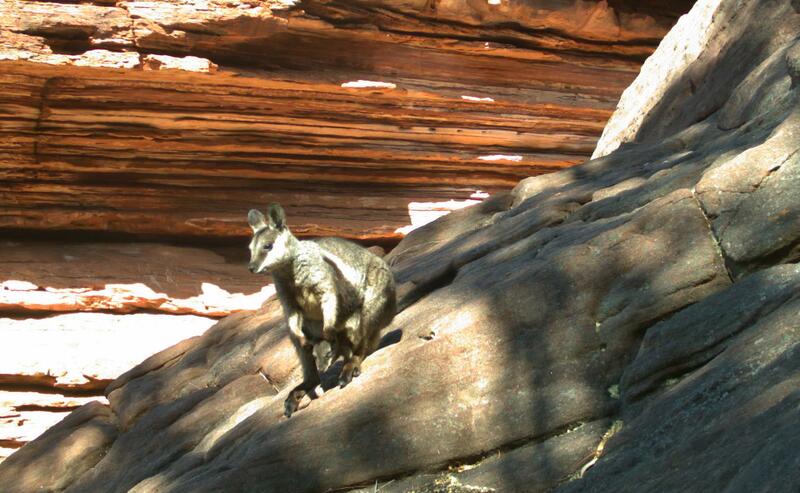 CAWA has received a letter from DPaW’s Midwest Regional Manager (link below), concerning the rediscovered rock wallabies and how this affects management of the area. This letter and the Kalbarri gorge camping question were discussed at length at the committee meeting on 9 December 2015. Prior to this discussion the committee has seen, heard and obtained the views of a good number of climbers about camping at The Promenade. The committee notes that climbing access to The Promenade has been preserved and that DPaW will provide an alternative campground near the Z-Bend car park. The committee also notes that DPaW is committed to full consultation with CAWA in the development of the conservation plan over the next 6 months. Given these important points and the conservation significance of the rediscovery of the rock wallabies, the committee has unanimously agreed to accept the management provisions outlined in this letter. The committee will ensure full consultation between CAWA and DPaW does occur, with ample opportunity for member comment being provided along the way. While the committee’s primary concern is maintaining climbing access, we also appreciate the need for a reasonable camping alternative and are committed to ensuring that the alternative campsite near the Z-Bend carpark is operational prior to the start of the 2016 climbing season. We have been assured by DPaW that it will be. Any significant developments will be posted on this site. Come and join a well-known local climbing icon, Logan Barber, as he shares climbing stories with his hometown. Focusing on his progression as a climber from Perth and his inspirations, the talk will cover his travels as well as his achievements stretching over a 19 year career that has taken him all over the world. Contact information: Please phone City Summit on 9248 7035 with any queries. Climbers often find themselves in remote areas (a remote area being defined as more than one hour from definitive care, with definitive care being a permanent medical facility). Though remote first aid does not replace definitive medical care, the ability to provide immediate appropriate care to an injured or suddenly ill person could be life saving. There is an increasing reliance on mobile phones to solve all problems, with the assumption that you can just call for help and someone will come. Help is more readily available in some places than others, but it still takes time for emergency services to respond. In some areas, rescue will depend on volunteer groups such as SES, who must be assembled and then deployed. The reality is that you could be waiting hours or even days for help to arrive. In recognition of the importance of this type of training, we have organised for Survive First Aid to provide a remote area first aid course for CAWA members. In addition to a specially discounted rate, CAWA will further subsidise the training to encourage participation. This nationally accredited training is recommended for anyone who spends time in the outdoors and though this course is being specifically run for CAWA members (and so tailored accordingly for climbing), it will equip you with the skills to handle remote area situations generally. I can personally vouch for how good the training is and how life-like the scenarios are. Whilst at times confronting (fake wounds, fake blood etc), it highlights the importance of applying the skill and not just learning the theory. It’s challenging but fun and I can’t recommend it highly enough. This unit of competency can be used as part credit towards the nationally certified course Certificate IV in Outdoor Recreation. DRSABCD Action Plan; CPR; unconscious patient; first aid principles and guidelines; shock; planning and preparation for a remote location; wounds; fractures; dislocations; sprains and strains; spine management; asthma; burns; anaphylaxis; hyperthermia; hyperthermia; bites and stings; abdominal and head injuries. Normally 3 full days, we are running it over 2.5 days to try and fit in with work schedules. Venue: Friday night and Sat will be at Department of Sport and Recreation offices in Leederville, Sunday at a quarry. Cost: $ 300 per person (This includes CAWA subsidy. $350 paid direct to Survive and CAWA will reimburse you $50 once full payment has been made). Normally $450. There are limited places so get in quick! Recently, DPaW raised concerns about climbing taking place at Eaglestone Rock after a visitor complained about the presence of bolts. Though the bolts have been in place for the better part of ten years, DPaW seemed to be unaware of the climbing activities. The primary route developers, respecting the sensitivities that go with access, had initially sought permission from the local shire, believing this to be the responsible course of action. Permission to climb and bolt was granted but unfortunately by people not entitled to do so, as the area is managed by DPaW (not the local council). It is also part of a nature reserve, where any activity is prohibited without explicit permission from DPaW. DPaW is actually working to have this area reclassified as a conservation reserve, which is less restrictive. However, this is a long way off. There are also other issues here with relations between DPaW and the local council but these have nothing to do with us and are not expected to have any detrimental effect on climbing. It’s not an uncommon situation. The outcome is that continued climbing access has been negotiated with DPaW and it’s business as usual. Just to be clear, this means that nothing will change for climbers. It’s important for climbers to understand and be aware of the sometimes less obvious but important work CAWA does in promoting the sport and protecting access and for our members to help spread the word. It’s not about aggressively demanding but building relationships and developing some mutual respect. Sometimes it’s relatively straightforward and sometimes it takes a bit longer to work out the kinks. This little lady and her fur baby are extremely rare Black Flanked Rock Wallabies, thought to have died out in this area around twenty years ago. Seen recently in the Z-Bend gorge at Kalbarri National Park (KNP), they have made their home directly adjacent to The Promenade, on the ‘grassy’ slopes on the downstream side, which has been traditionally used by climbers for their ablutions. It is likely they have set up house there because it is one of the few spots in the gorge offering protection from the elements. At this point, no others have been found in the area and DNA testing indicates that they are quite distinct from similar wallabies seen in other parts of WA. Along with hubbie, they are likely to be the only three in existence. Department of Parks and Wildlife (DPaW) in this area is supportive of our activties, for which we continue to be grateful, as Kalbarri is without doubt a very special place to climb. Whilst climbers have been mindful of the wallabies, discussion with DPaW suggests that our increased presence in that area generally is impacting negatively on these wallabies and possibly inhibiting natural behaviours, like foraging for food. This in turn poses a very real threat to the survival of this subspecies. In recent times there has been a significant increase in the number of climbers visiting the area and often camping. In order to protect these little guys while further research is being undertaken about the best way to ensure their preservation, the management of climbing activities needs to change and DPaW needs our support. The other issue that has been a concern for DPaW for some time and now confirmed in the course of the wallaby investigations, is that the large numbers of climbers camping in such a small area is having a negative impact on the environment. I conveyed DPaW’s request to minimise camping previously on the CAWA website, in newsletters and on social media forums, as well as to groups of climbers, in an attempt to encourage self-regulation. Please see here my post from May 2014: Kalbarri Camping and Access. Unfortunately, this has been unsuccessful in moderating the number of climbers camping in the gorge and in spite of my pleas to prioritise our long term climbing access over short term convenience, numbers and frequency have increased. No camping in this section of the gorge. DPaW will not accept registrations for overnight stays in this area. Please contact the local DPaW office on (08) 9937 1140 prior to climbing. Registration has always been a requirement for any climbing activities but this may not be well known and has generally not been enforced with private climbers. This will enable the rangers to update you with any important information. Realistically, camping at The Prom was never going to be a viable long term option. One of the reasons we love to go there is because it’s unspoiled and we want to keep it that way. Even with care being taken by most groups, the sheer numbers are a problem. DPaW’s intent in allowing overnight stays in the gorge is to provide an occasional ‘wild camping’ experience for small numbers of people. So bearing this in mind, we’ve had a pretty good run and they have been exceptionally accommodating. In our submission to the draft KNP Management Plan last year, we suggested the development of vehicle-based camping near the Z-Bend car park. DPaW recognises the lack of accommodation in the park generally and is keen to work with us to provide alternate camping options for climbers and other groups. There has been a strong push for this and it is acknowledged in the recently published 2015 management plan. Luckily we are at the end of the Kalbarri climbing season and I have been assured that by the time it rolls around next year some sort of vehicle-based camping within the park will be made available to climbers. The government’s plan to boost tourism in WA’s mid west region will see some changes to the KNP over the next couple of years. There are two skywalks scheduled to be installed at the West Loop lookout by 2017. There are no climbing routes in this area. The remainder of the Z-Bend/Loop road will be sealed. The access to Placid Pool in the Z-Bend gorge (The Adventure Wall, The Pit and The Promenade climbing areas) is currently via a scramble (or a refreshing swim). An access upgrade has been considered, which would mean a ladder where we usually place a temporary rope. The purpose being to create more of an ‘adventure’ experience for hikers. This would increase tourist traffic, which is currently limited by the awkward access. It’s worth noting that relatively few visitors to the Z-Bend even make it that far, with most walkers stopping when they get to the bottom of the tourist track into the gorge and many not going beyond the lookout on top. If a ladder is installed, the most obvious climbing related issues are more general public traffic in the area and safety concerns for both climbers and walkers. Though DPaW understands that we don’t want to see a ladder there, discussion suggests that it is manageable using tools like appropriate signage. A similar situation is managed in The Aviary, where commercial abseiling and climbing take place regularly. However, I’m happy to report that partly due to the presence of the wallabies, it’s very unlikely that this enhanced access will occur, at least in the short to medium term. To ensure our concerns are factored into any longer term decisions, a formal submission will be made to DPaW along with a request to be included in any future discussions. The road upgrade means more road closures in 2016. DPaW will no doubt post information on their website as they have done previously and climbers can always call the rangers for more information. As mentioned above, part of the new management plan is developing nature-based and vehicle-based accommodation options within the park. DPaW is well aware of the need to provide an alternative to gorge camping that still provides convenient access for climbing. We will continue to liaise with DPaW on this and report on progress. It would be appreciated if everyone can help to circulate this information to fellow climbers. If you have any queries, please email me: denar@climberswa.asn.au.